Hello and welcome to BBC Xtra English. Today Abdu and Rasha are talking about the famous British pop band from the 1960’s – The Beatles. The entire collection of Beatles music, fourteen albums in total, are being reissued in a digitally enhanced way. The reissuing of the albums coincides with the publication of a new computer game based on their music. The game allows players to sing along to the music and play authentic looking plastic instruments in colourful animated locations. Former Beatle, Paul McCartney, says that the game has been done very respectfully and he hopes it will appeal to a new generation of fans. 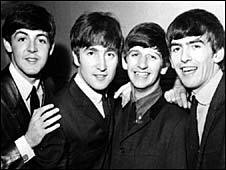 Do you think the music from The Beatles is worth remastering or does it belong to another era? Write to us in English!